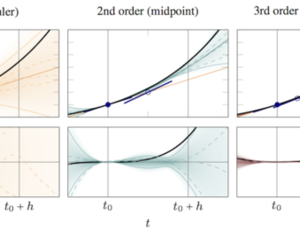 Michael Schober' paper on probabilistic solvers for ordinary differential equations has been selected for a full oral presentation at the flagship conference of machine learning. Für ein autonomes Fahrzeug bedeutet eine innerstädtische Kreuzung mit mehreren Verkehrsteilnehmern eine große Herausforderung. Wie komplexe Verkehrssituationen mithilfe von Videosequenzen besser verstanden werden können, hat Dr. Andreas Geiger in seiner Doktorarbeit gezeigt. Dafür hat er am 27. 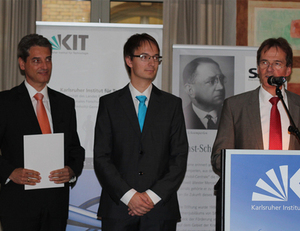 November 2014 vom KIT-Zentrum für Mobilitätssysteme den Ernst-Schoemperlen-Preis verliehen bekommen. In machine learning, we use data to automatically find dependences in the world, with the goal of predicting future observations. Most machine learning methods build on statistics, but one can also try to go beyond this, assaying causal structures underlying statistical dependences. The hope is that this also allows prediction in certain situations where systems change, for instance by interventions. 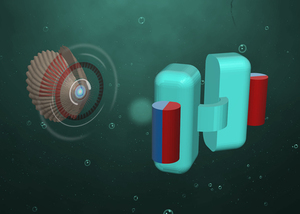 Tiny self-propelled motors which speed through the water and clean up pollutions along the way or small robots which can swim effortlessly through blood to one day transport medication to a certain part of the body – this sounds like taken from a science fiction movie script. However, Samuel Sánchez is already hard at work in his lab at the Max Planck Institute for Intelligent Systems in Stuttgart to make these visions come true. For his innovative research, the 34 years old chemist has now been named as Spain’s top innovators under 35 by the Spanish edition of the journal MIT Technology Review. Micro- or even nano-robots could someday perform medical tasks in the human body. Researchers from the Max Planck Institute for Intelligent Systems in Stuttgart have now taken a first step towards this goal. They have succeeded in constructing swimming bodies that simultaneously meet two requirements: they are small enough to be used in bodily fluids or even individual cells, and they are able to navigate through complex biological fluids. Tübingen / Heidelberg, October 9, 2014. 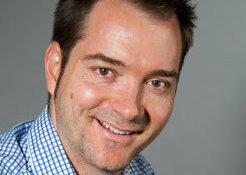 Science in clear words: Dr. Sebastian Trimpe, a research scientist in the “Autonomous Motion Department" (Stefan Schaal) at the Tübingen Max Planck Institute for Intelligent Systems, has written a short, comprehensible text (in German) that describes the research he conducted during his PhD at ETH Zurich. 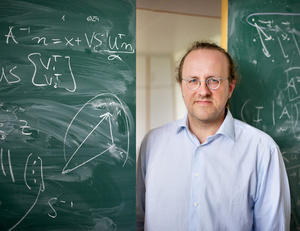 As winner in the category of computer science, he is one of six awardees who received the Klaus Tschira Award for achievements in public understanding of science on Thursday, October 9, 2014 in Heidelberg. The senior master students present this years teaching awards to Dr. Moritz Grosse-Wentrup (group leader Brain-Computer-Interface group) and Dr. Daniel Braun (group leader Sensorimotor Learning & Decision Making group). Congratulations! 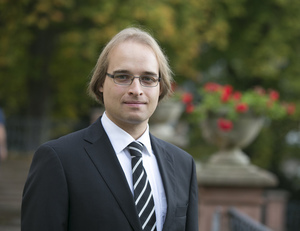 Prof. Dr. Bernhard Schölkopf, Director at the Tübingen Max Planck Institute for Intelligent Systems, was awarded the 2014 Royal Society Milner Award for being a pioneer in machine learning whose work defined the field of “kernel machines” which are widely used in all areas of science and industry. 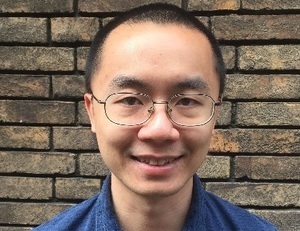 The Royal Society Milner Award, supported by Microsoft Research, is given annually for outstanding achievement in computer science by a European researcher. The winner of the award receives a medal and a personal prize of £5,000. 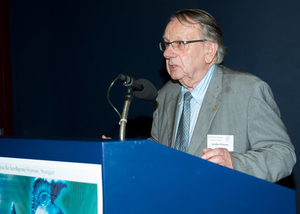 Prior to the award ceremony end of November 2014, Schölkopf is invited to deliver a public lecture on his research at the Society.